Laizhou Taihe Chemical Machinery Co., Ltd. This product is the based hot cleaning / cool cleaning operation procedure. we will make the best full cleaning project for customer according to customer&rsquo;s practical produce requirements. 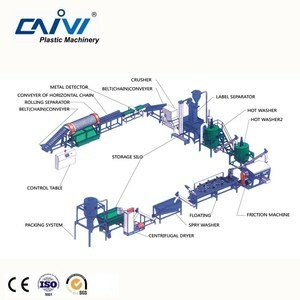 Plastic Machinery : Plastic granulator , Plastic crusher , Plastic crushing cleaning machine , Baling press machine . With advanced international industry concepts and technologies to meet waste plastic recycling at home or abroad. b: You can choose different devices according to your material. 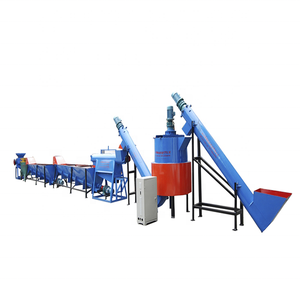 Equipment name: pet bottle crushing washing recycling machine b. 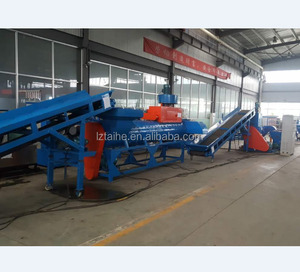 We have the bale opening and feeding system which and equally feeding the material save labor. c. Specially designed Film d ewatering machine can make the best dehydration effect for film. 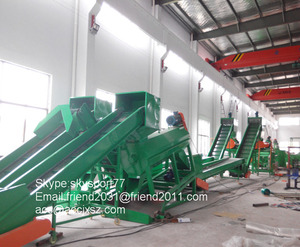 e. After sales : we arrange engineer to install the machinery and training the workers for client. What is payment terms9 - Payment is based on FOB Shanghai or CFR / CIF; payment is by T/T or L/C or cash. 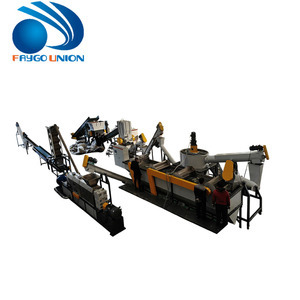 What is guarantee time9 - Guarantee time is 14 month from machines arrive in client&rsquo;s factory. Our service We run machines in our factory before machines delivery. 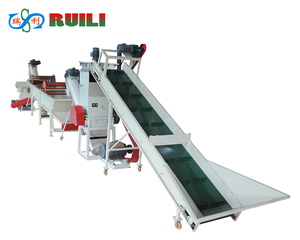 Optional 6 Belt Conveyer Conveying the bottles into crusher. 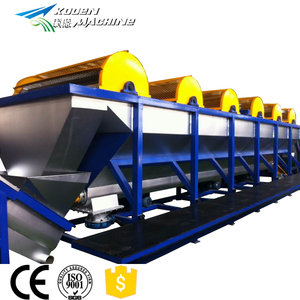 Necessary 8 Screw Feeder Conveying the flakes into friction washer. 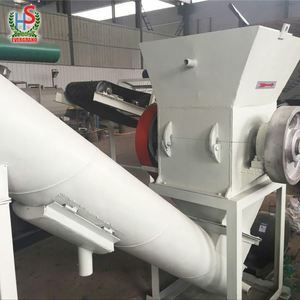 Optional 11 Screw Feeder Conveying the flakes into hot washer. 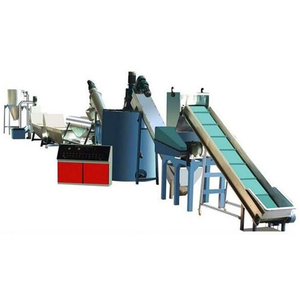 Features of plastic recycle washing line: 1.CE&ISO certificate 2.Humidity content: &lt;2-5% 3.Capacity: 300-2000kg/h 4.Plastic recycle washing line is used to crush, wash, dewater and dry plastic film. 5.S imple structure, easy operation, high capacity, low energy consumption, safety, reliability, etc. 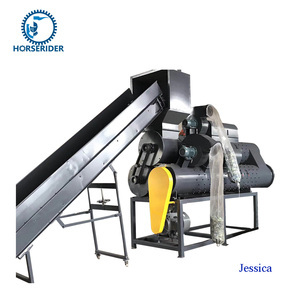 Layout of plastic recycle washing line: belt conveyor---plastic crusher---friction washer---floating washing tank---screw conveyor---dewaterer machine---dryer---silo. 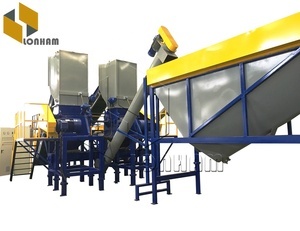 Alibaba.com offers 32,382 pet recycling line products. About 47% of these are recycle washing line, 25% are plastic granulators. A wide variety of pet recycling line options are available to you, such as free samples, paid samples. 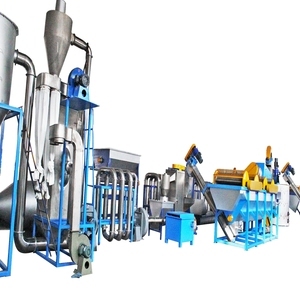 There are 32,339 pet recycling line suppliers, mainly located in Asia. The top supplying countries are China (Mainland), Vietnam, and Hong Kong, which supply 99%, 1%, and 1% of pet recycling line respectively. 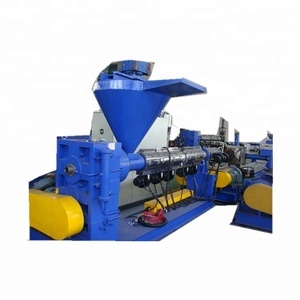 Pet recycling line products are most popular in Domestic Market, Mid East, and Southeast Asia. You can ensure product safety by selecting from certified suppliers, including 6,226 with ISO9001, 5,126 with Other, and 177 with ISO14001 certification.